California Gov. Jerry Brown has blocked parole for convicted killer David Weidert. FRESNO, Calif. (KFSN) -- California Gov. 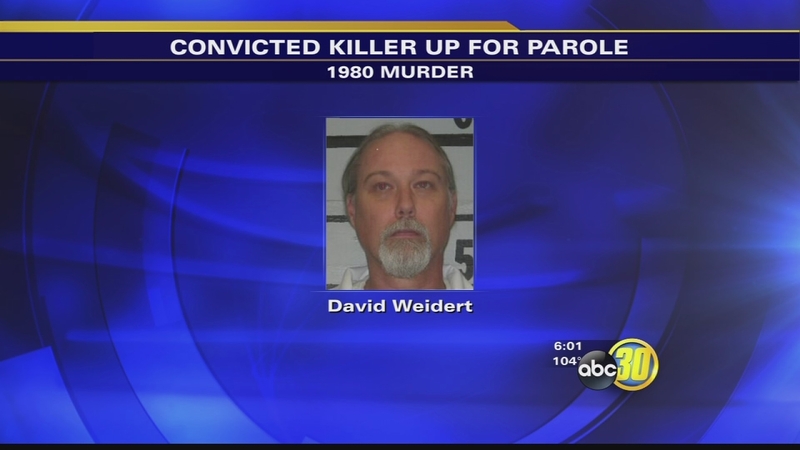 Jerry Brown has blocked parole for convicted killer David Weidert. That means Weidert, 52, will go back to prison and not be released as recommended by the parole board. Weidert kidnapped and then murdered a developmentally disabled Clovis man back in 1980. Fresno County Sheriff Margaret Mims called it a "barbaric" crime, as Michael Morganti, 20, was forced to dig his own grave after being tortured. Weidert was sentenced to life in prison. Michael Morganti is seen in this photo. In January, the state parole board recommended that Weidert's release should be granted. The victim's family and five state lawmakers had called on Brown to reverse the parole board decision. Weidert's father says his son has changed in prison and could safely be released. I have considered the evidence in the record that is relevant to whether Mr. Weidert is currently dangerous. When considered as a whole, I find the evidence shows that he currently poses an unreasonable danger to society if released from prison. Therefore, I reverse the decision to parole Mr. Weidert. We're relieved to see Gov. Brown do the right thing and block parole for this cold blooded killer. The person who murdered my brother is a special kind of evil, a psychopath, someone who should never be set free to kill again. We're grateful Gov. Brown took the time to carefully review the State Parole Board's irresponsible decision and reverse the Board's opinion, but our fight isn't over. This callous convict will come before the State Parole Board again in the future, and we will be there fighting for #Justice4Mike, and fighting to prevent other California families from experiencing the nightmares that continue to haunt us to this day. Click here to read entire parole release review. The fate of a convicted killer now lies in Gov. Jerry Brown's hands. Brown will decide whether 52-year-old David Weidert should remain in prison or be allowed back into society.